Facebook is one of the biggest and most popular social media networks, boasting over one billion active users. Thousands of businesses use Facebook to not only build and grow their client following, but to also promote and advertise their business. One of the most popular ways is through Facebook advertising. There are lots of opinions on how to get Facebook advertising to work the best for you, however we are only going to focus on the main tried and tested tips. 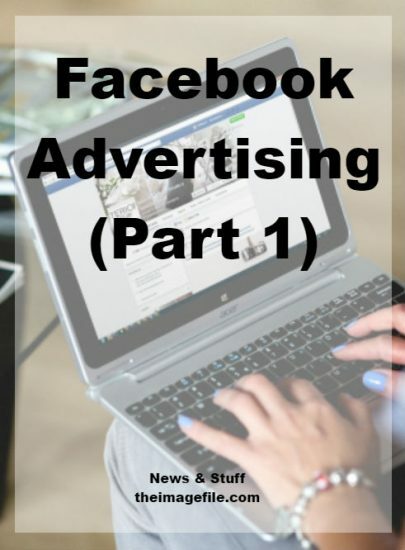 Before we start with the tips and tricks of Facebook advertising we wanted to cover the basics of how Facebook advertising actually works. At this current time (September 2016) Facebook advertising works through a “bidding” process. Basically when you choose to run an advert through Facebook you set a budget for that advert, which is the total amount you want to spend e.g. £50. Once you’ve set your total amount you then choose a bid – the amount you’re willing to pay to have customers see your advert and click on it or take some other action. You also have the option of setting either a daily or lifetime budget for the advertising. This is so that it’s easy to stay within your budget. If you want to pay a certain amount per day e.g. £5 then you select the “Per Day” option in the Budget section. Facebook will never exceed this amount and the daily budget will reset each day at midnight. On the other hand you can also select a lifetime budget which continues until either your budget amount runs out or your advert end date arrives. Now that we have those basics covered, let’s check out the tips! Facebook advertising is paid advertising, so you want to make sure that your money is being spent on clicks from people that are important to your business. Facebook let’s you go beyond keywords, allowing you to fine-tune your targeting by using a number of variables. By fine-tuning your targeting your ads are shown to the most relevant people, this leads to better click-through rates and means your money is being better spent. So before you even start creating your Facebook ad, make sure you understand your audience well enough to answer the following questions. Location – Where is your audience based? Facebook lets you display your ad in certain locations, from country to county to city all the way down to post codes. Demographic – What is the minimum and maximum age of your clientele? Are they mainly men or women? You do have the option to reach everyone by selecting “All”. Other questions to ask – What is their relationship status? What life events have they recently gone through? This is particularly useful if you are targeting the newly engaged or new parents. Interests – What are your clients interested in? Custom audience – This targeting option lets you target ads to a specific group of people that you’ve established a relationship with on and off Facebook. Split testing basically means comparing two similar (but different) versions of a Facebook ad keeping a close eye on their performance so you can determine which one works the best. Creating and split testing new ads from a design and copy point of view is an essential part of Facebook advertising success. Often social media users develop what is known as “ad fatigue or blindness” if an ad is run for too long. Basically if an ad is run for too long then they can become stale and unappealing and therefore get fewer click-throughs and engagement. Create a pair of similar looking ads to test against one another. There are many elements of an ad that you can change and test including the image, text overlay, copy and colour. Change at least one element of the ad completely to determine which works better. Track your results using the Ads Manager and pick the best. Repeat until your advertising goals are reached. There are numerous Facebook ads available with very different objectives. Some ads are for getting clicks to your website or opt-ins, others are for boosting your page Likes and engagement, while there are also ads for app installations and engagement, some for creating local awareness for your business etc. The dimension of these ads are different and you want your images need to be the recommended sizes so that they can be shown in different formats and locations like the desktop News Feed, mobile News Feed, right-hand column etc. 1200 x 628 pixels for “Clicks to Website” and “Website Conversions”. If you choose to use a smaller or larger image than the recommended size, then Facebook will automatically resize it for you, possibly cropping out important elements or reducing the quality of the image. Have you used Facebook advertising in the past? What tips or advice do you have for people wanting to try Facebook advertising?